We often forget that artists before they became celebrities were ordinary people and used a simpler look. 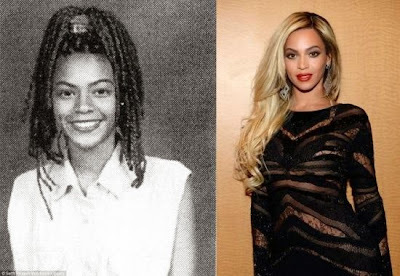 Once they reach stardom, many renowned musicians radically change their style and when compared with their before and after pictures of fame, we can see a big difference in their appearances. 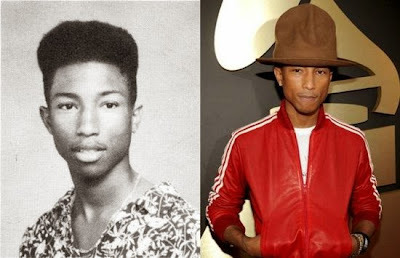 Pharrell Williams is 41 years old and retains his youthful appearance, however, something changed in his look, the hair. But now instead of letting grow locks, he prefers the style "bald" and uses his famous hat, which draws more attention than his old look. 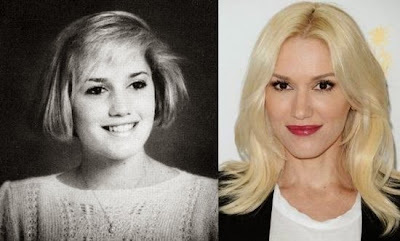 Before the fame, Gwen Stefani had a very sweet looking, over the years, the singer came to paint the hair of different colors, from blue to pink. Currently, the star remains blonde. The singer Taylor Swift has changed a lot and is so beautiful, that comes even be confused as a model. 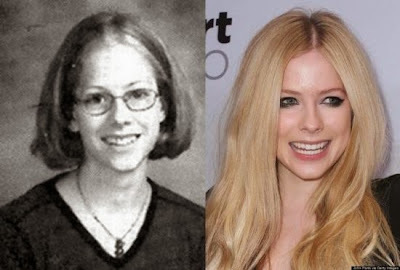 Who knew that the left photo girl with a sweet face and a somewhat nerdy appearance, would become a beautiful rocker. It is noticed that before, Avril did not wear much makeup. Today, the Canadian fancies in the visual, opting for darker shades. Comparing the two photos, the singer shows that always had charisma and a beautiful smile. Beyoncé is known to change the look of her tresses constantly, but always seeks to have style and elegance. 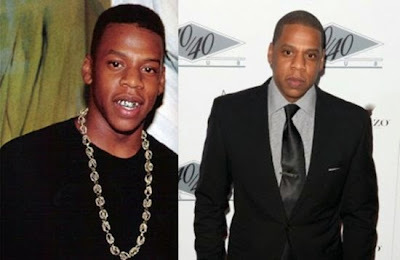 But Beyonce's husband, rapper Jay Z , changed the look for better after achieving fame. Previously, the musician had a simple appearance, these days we can see that the way he dress has changed a lot since we see using more times suits and designer clothes. The singer Lady Gaga had a simple appearance, even wants to show the pop music scene a completely different and flamboyant style. Throughout her career, the star spared in using eccentric costumes and always drew attention by daring them. The rapper shows us that fame made her very well. 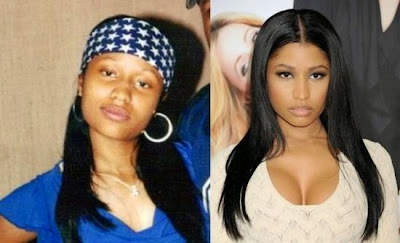 In the first picture, we see that Nicki Minaj is not much with her ​​makeup and wore more stripped clothes. Currently, the artist not only fancies in makeup, but also in her costume, which won a sexier and daring touch. The singer Shakira has changed her hair a lot. The Colombian, who was brunette, joined the blond locks and ruled out the use of fringe. 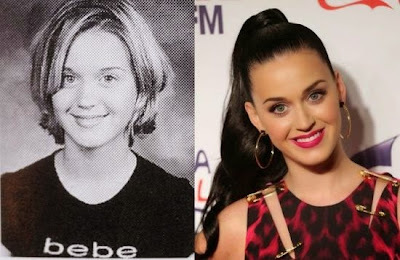 Katy Perry remains the same. The brunette was actually blonde and had shorter hair. 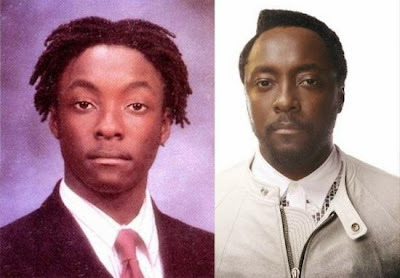 The fame gave style to the lead vocalist of the Black Eyed Peas , both in his hair and the way of his dressing, which have completely changed for the better. The singer Fergie, will.i.am's group colleague, shows that even before the fame was always beautiful. 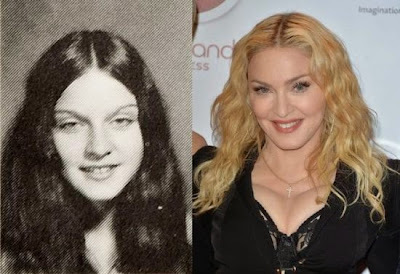 The singer Madonna has changed a lot throughout her career and now remains with the blond locks. 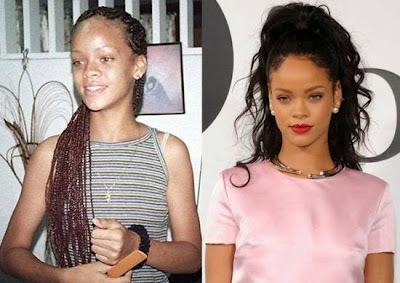 With a simpler visual before she achieve stardom, Rihanna now exudes beauty and style. The Barbadian has even made collections for the brand River Island. 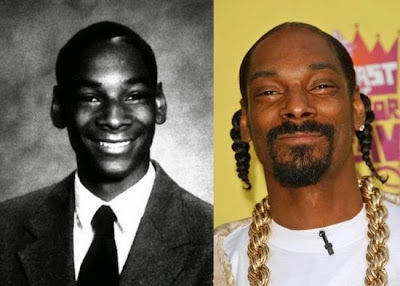 Despite the smile the first photo, Snoop Dogg appeared to have a look more serious and reserved. Today, the rapper already use small braids, giant gold chains and joined the goatee.